When I stopped updating and disappeared for six months I didn't stop reading, although what I read wasn't exactly in-line with No Book Unread Project. My interest in neuroscience and psychology got the better of me, in part due to the long journey towards writing mastery that I've embarked upon. 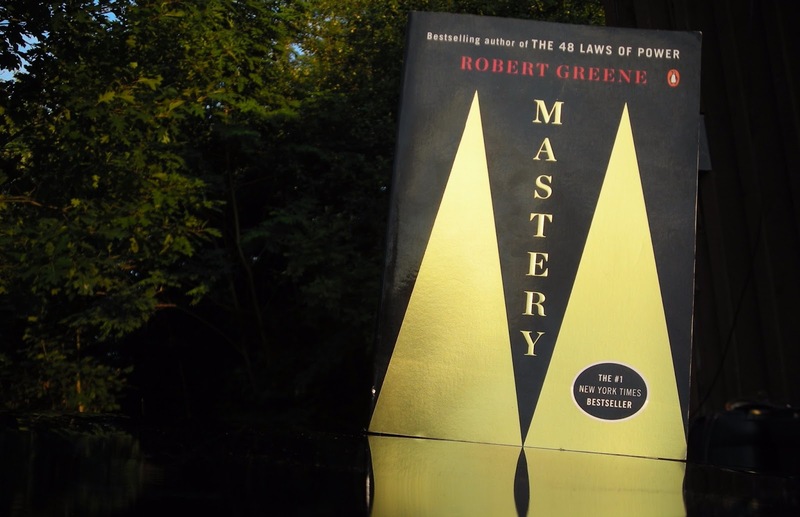 As a result I ended getting the non-fiction book Mastery by Robert Greene. For a non-fiction book though I found it completely engrossing. This wasn't the only non-fiction book I indulged in during my blogging break, but I'll touch upon that in my next post. The book Mastery is about exactly what it sounds like it's about. Mastery is intended as a foundation for the pursuit of any sort of mastery. For some the first thing that might spring to mind may be the archetype of the ancient martial arts master in Chinese garb and a long white beard dangling from a weather-beaten chin. While you may be tempted to assume that Mastery applies only to physical pursuits it is intended to apply to everything from architecture to zoology. I'm tempted to recommend this book to anyone who wants to pursue one of their interests as a career, but I also find this sort of thing endlessly fascinating so take that with a grain of salt. As good as Mastery is my first impression flip-flopped between admiration and cautious skepticism. Mastery is a very optimistic book in an almost deceiving way. There is this very prevalent 'anyone can do this' attitude that encompasses the writing, very reminiscent of some of the fluffier self-help books. At times I was reminded of a book called The Power of Flow: Practical Ways to Improve Your Life With Meaningful Coincidence. Flow was a book that I picked up on a whim due to its interesting concept, and while it was intriguing it ultimately was full of dubious content. So when I was reading Mastery that same self-assured tone made me question whether or not Robert Greene was writing opinion or earnest theory. However, in contrast to Flow, Mastery has a long list of reference material listed in the back of the book. Although there are no direct citations (ie: footnotes or numbers to identify cited passages) I personally recognized material that I was familiar with from other books I had read. Just a taste of pages of fun-filled citations. In fact, that was one of the more enjoyable aspects of Mastery for me. Mastery seemed to be a culmination of a lot of the information I had absorbed reading other titles. In addition to that, though, was a wealth of new information on masters of various professions and crafts. Mastery is rife with in-depth examples of not only historical 'masters' but also many contemporary examples which delve not just into their rise to mastery but their early life and interests. Robert Greene paints complete portraits of real people instead of assuming that those who achieved a form of greatness were born with an innate talent. Instead Greene posits that the example masters became exceptional through hundreds of hours of practice and adherence to vital tenants that allowed them to continue improving and learning where many other people seem to hit a wall. Perhaps the most beneficial part to Mastery is that each chapter examines the sequential steps and phases of attaining mastery. The book takes a very no nonsense approach to outlining what should be expected and practiced at each stage. Although, in contrast, the language used was somewhat flowery for my tastes and may have contributed to my early moments of wavering trust. Regardless, the information given is largely practical despite the inherent vagueness of outlining a framework for mastery. What more the book follows suit with a dozen profiles of various masters such as Henry Ford, Benjamin Franklin, Frank Lloyd Wright, the Wright brothers, Wolfgang Amadeus Mozart, Carl Jung, and Johann Wolfgang von Goethe and more. Each mini-biography then highlights the tenants, the ones outlined in the previous chapters, and highlights where those tenants were put into practice in each biography. Just as frequently Mastery also provides counter-points, in which there are exceptions to the rule. While this might seem confusing at times the main purpose is to demonstrate that there are many paths to attaining mastery. There is no one set way to achieve mastery but the tenants outlined are the common factor throughout all the stories. Above all else, though largely unspoken, Mastery asks you to fight hard for what you enjoy, forge your own path, and never surrender. Despite a romantic tone the gritty realism of Mastery's words is that attaining mastery is a difficult path that requires constant practice, an open mind, and a dedication to continued education. And although Mastery admits as much, that mastery is an arduous path, it can be frustratingly blithe about the matter. Ultimately Mastery doesn't tell you how to deal with life as you work towards mastery, but it does give you a map of how to reach it. My final thoughts on Mastery are that it gave me a lot to think about. There were times where I just set the book down and thought for a while. Since writing mastery is essentially something I've been struggling to even get started on for three years now I think some of the advice and the recommendations might have hit a bit close to home at times. That many of the examples of mastery referred to avid or prolific writers didn't help at all either. Still, achieving a level of mastery is estimated to take some 10,000 hours of dedicated practice. I shouldn't get frustrated just yet, even if I feel like I have some lost time to make up for. My recommendation? If there is something you care about enough to want to be outstanding at, read this book. If nothing else it will give you some things to consider. This picture turned out too nice to not use. So voila, footer photo!